What is a hashtag? How do I use a hashtag? And most importantly, how do I use a hashtag effectively for my business? First of all, a hashtag is basically this: # It’s the number sign, or Shift + 3 on your keyboard. That sign plus any word after it is considered the “hashtag.” For instance, #mckinney, or #smallbusiness, etc. I want to give you three tips on how to use hashtags effectively for your business. 1. Do not overdo it! That’s the number one tip—do not overdo it. We’ve all see that person on Instagram, Twitter or Facebook, who posts a caption, a picture, and then 15 hashtags. Don’t be that person! When you do this, you’re just beating your audience down. The best way to get unfollowed is to consistently post a bunch of hashtags in your posts. I recommend that you use no more than three at a time, but I like to keep it to one or two. I also don’t do it every time—not all of my posts have hashtags. Do use them, but use them sparingly. The effectiveness of the hashtag is that it basically categorizes all the posts talking about that topic. So for instance, for the Super Bowl, you had people that used #SB50. If you used that hashtag, than anyone, whether they follow you or not, who looks for that hashtag, could see your post. You blended into that conversation in which everyone used the #SB50 hashtag. This is a great way for your business to get exposure. With that in mind, you want to get creative and not necessarily blend in with your competition. What I mean by that is, if you sell insurance, you may not want to use #insurance because everyone who is in the insurance industry is going to be using that hashtag. So think about using the city that you live in. Or, maybe define insurance—for instance #autoinsurance or #businessinsurance. But don’t just be generic and use #insurance. Think about how people search, and what can differentiate you just a little bit to refine that search. I love using the city for businesses. We are here in McKinney, so I like to use #mckinney or #mckinneytx, and that blends me into the conversation with everyone who is around the McKinney area. 3. Don’t use them when you have a link. I’ve done research on this with my own company, and this is advice I give to my own clients: If you’re on Twitter and you’re trying to send traffic to your blog or website through a link, I have found that you get a lot more clicks on the actual link to your website if you do not use a hashtag with it. For instance, I have a blog on my website called “What Should I Blog About?” I’ll put a link after that title, so on Twitter you can click that link and go to my website. I used to put my usual hashtags after the link—so I’d have the post title, then the link, then the hashtags. But what I found was that the link got lost in the hashtags. People did not focus on the link. Once I started to remove those hashtags I got a lot more clickthroughs to my blog. 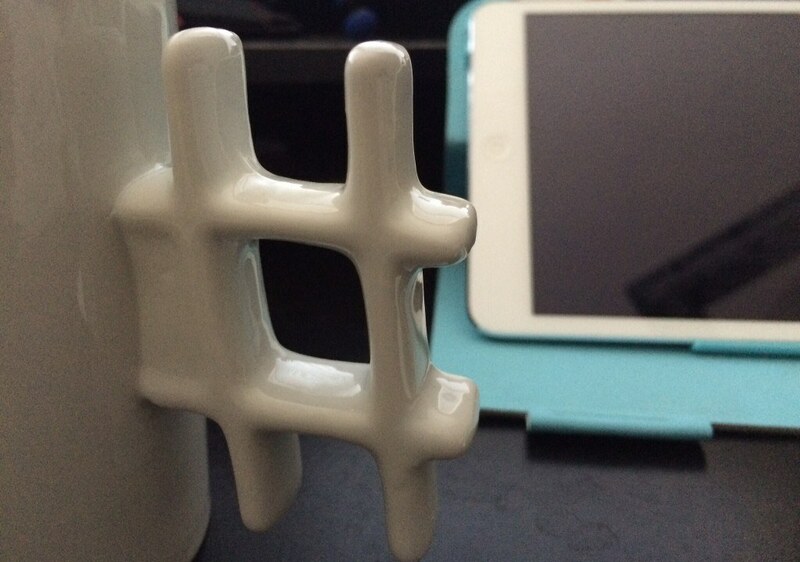 So there are two tips on how to use hashtags effectively, and one on when to not use them! 4. Don’t use them on Facebook. Here’s a bonus tip on when to not use them (And not everyone will agree with me on this, but that’s fine! ): Don’t use hashtags on Facebook! Even though they are functional on Facebook, what I have found is that when businesses start to use hashtags on Facebook their reach and engagement both go down. This means people aren’t as likely to comment or like one of my posts when I’ve used hashtags. I’m speaking from my own experience, my own case studies—you can experiment with them yourselves. But I have found that clickthroughs to my blog and Facebook posts do not gain anything whenever I add hashtags. I hope this helps clear up hashtag confusion! As always, if you have any questions, please email me, text me at 214-856-0492 or just comment below this post.